With Halloween right around the corner, we want to share with you some of our favorite DVDs that you can share with your family. This collection is from N Circle Entertainment and the DVDs can be found online or in most stores that carry DVDs. From the creators of the Academy Award nominee The Gruffalo, comes Room on the Broom. Also Academy Award nominated, this magical tale is based on the best-selling children’s book written by Julia Donaldson and Illustrated by Axel Scheffler. A kind witch invites a surprising collection of animals to join her on her broom, to the frustration of her cat. This timeless tale of friendship and family features the voices of Gillian Anderson and Simon Pegg. Join Pocoyo and his friends on seven playful Halloween adventures! Learn about honesty, imagination and more with Pocoyo and the gang. Whether it’s playing a new game called Boo!, enjoying a monster mash party, or pretending to be Godzilla and King Kong, every day is fun & engaging with Pocoyo and his friends! Features Stephen Fry as the narrator. Join Sid and his friends as they discover how bats catch mosquitoes, why spiders are expert engineer web builders and how skeletons make up the foundation of our bodies. The kids dress up to celebrate Halloween at school, and Teacher Susie leads them in a special Halloween parade song to show off their costumes! With Sid the Science Kid, Halloween can be spooky and scientific! A new spooky adventure this DVD brings, with The Cat, Nick and Sally, Fish and the Things. Meet the eeriest critters you’ve ever seen, arrived just in time for Halloween! 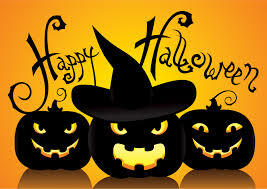 There’s be lots of tricks, and of course lots of treats, to share with the animal friends you will meet! There’s a coconut crab, spider monkeys and bats, and plenty more fun with The Cat in the Hat! After going to a Halloween party, Cowbella reveals that she is nervous about trick or treating because she doesn’t like all the scary vampires and zombies she saw there. The Pajanimals travel to Storybook Land, where Edwin explains that there’s nothing to be scared of. Those vampires and werewolves are just costumes that the big kids wear to have fun, just like her pretty princess costume! Then enjoy four more adventures with The Pajanimals! Join Chica, everyone’s favorite chicken, as she gets ready for some fun adventures while working “The Costume Coop”. It’s Chica’s favorite time of the year – but her indecision on what costume to wear stops her from enjoying all the fun. Will she be able to make a decision and stick with it? Then enjoy five more adventures with Chica and her friends! Features the voice of Mario Lopez as Chica’s friend Stitches. Hurry! 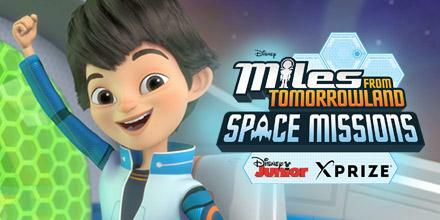 Only one week left to submit an entry for the Miles from Tomorrowland: Space Missions, a nationwide program based on the hit animated series that invites kids ages 3 to 8 and their families to develop their own “out-of-this-world” creations within three themed categories – technology, vehicles and planets. After completing the design, take a picture of it and upload it to the Miles From Tomorrowland website. All the entries will have a chance to win incredible prizes, such as a 3D printer from 3D Systems and the Grand Prize of a VIP trip to Cape Canaveral to experience the past, present and future of space exploration firsthand, including a behind-the-scenes tour of Kennedy Space Center Visitor Complex and have lunch with an astronaut; a tour of Moon Express (one of the teams competing for the $30M Google Lunar XPRIZE); and a chance to see a SpaceX rocket launch from a VIP vantage point. More info here: http://partners.disney.com/space-missions/submissions. This is a blastastic opportunity to do some fun, creative activities with your kids while teaching them about space at the same time. Submission deadline is Aug 31. Check out our interviews by KIDS FIRST! Reporter Tre’ana H. with some of the key players from this project with Bill Nye the Science Guy, Bob Weiss (CEO of XPrize), Adrien Grenier, Ginger Zee (GMA Weather Anchor) and Yvonne Cagle (NASA Astronaut). Do you enjoy watching our KIDS FIRST! 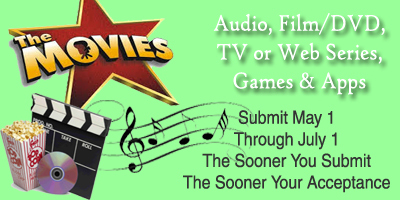 Film Critics video reviews of all the latest films, DVDs and other media? To receive our most current reviews the day they come out all you have to do is subscribe to our KIDS FIRST! YouTube Channel. Yup, it’s as easy as that. Click here to subscribe. We have more than 1100 video reviews up now and add new ones almost daily. All the latest feature films rated G, PG and PG-13 are reviewed by our team of youth reporters and posted for you to watch. So, whenever you’re trying to decide what movie to take your kids to, or even go to yourself, check out what our critics say before you spend your hard earned money on that pricey ticket! Feel free to share with your friends, repost on your blog or social media and give us feedback. We are always trying to improve so, if you’ve got a suggestion on how to do that, let us know. We’d love to hear from you. Attention all Grandparents! Did you know, September 7th is National Grandparents Day? It’s a day of recognition for the huge contribution grandparents make to the family and society. We urge you to celebrate the experience with KIDS FIRST! & GRAND Magazine. 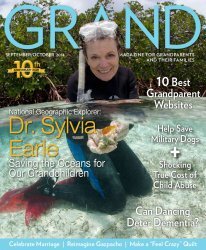 GRAND is the magazine just for grandparents, with information and inspiration we need to get the most from this important life stage. GRAND is a digital magazine…a real and “green” magazine delivered by email, and it’s absolutely free for you! To mark their 10th Anniversary, GRAND is giving all KIDS FIRST! supporters free subscriptions. Really. No credit card…no billing. Free! Click Here to receive 12 bi-monthly issues packed with news you can use. Be among the first to get the 10th Anniversary Edition, arriving in September featuring National Geographic marine explorer, Dr. Sylvia Earle. Know someone else who loves being a GRANDparent? Forward this now and let them in on the fun.